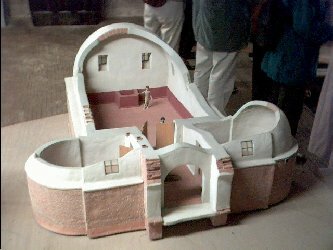 The City of London Archaeological Society, Takes us to many interesting places, and keeps up in touch with our friends who Rita shared many a dig with. The group who dug at Faccombe Netherton, still hold reunions to this day. We have had a few get togethers here and it is great to see the tents going up in the garden, while the barbecue smoke drifts around. The next image is a photo of the Roman Bath House foundations, and underfloor heating detail, as conserved under the building. 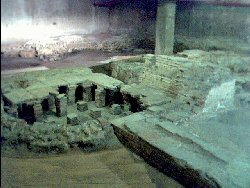 See the link to COLAS on the Links page for more about what is buried in London. Colas still operate active investigation sessions on the Thames foreshore, and also hold regular meetings in London with very interesting subjects. 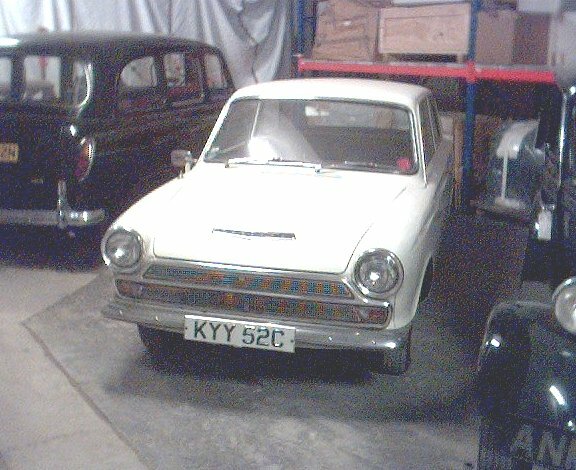 Where can you find a Mk1 Ford Cortina in Immaculate Condition, a Working Stage Coach showing destination boards with such places as Bushey Park and Hampton Court and a Three Wheeled Delivery bike of approx 1930's Vintage ????? We visited early this year, as members of COLAS and found the place a veritable Alladins Cave of Archived, items which are preserved, for both our and our grandchildrens future. More Photo's will be placed here soon. 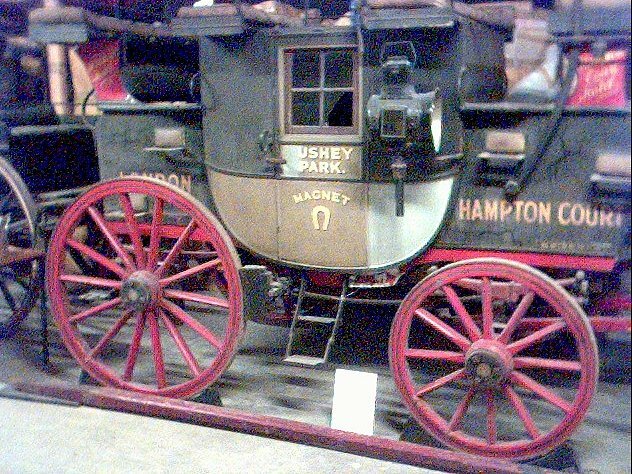 A recent visit to the city of London Museum, gave me a very nice surprise. 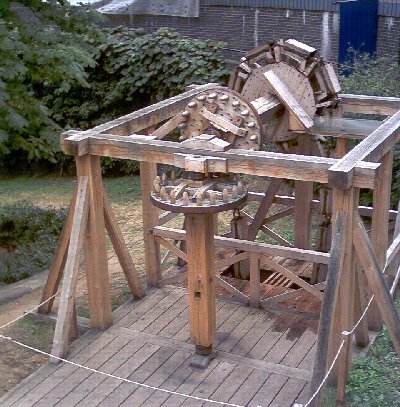 The project to rebuild the roman water wheel, to the design, believed to have been found in a recent excavation in London, is now complete. I know that this has been operated by my wife and her friends, it is just a pity I was not with them to record the event.